Attributing negative stereotypes to older adults (ageism) may lead to undertreatment, but little is known about the prevalence of ageism among physicians treating patients with cancer in Ibero-America. We studied stereotypes of aging among Mexican physicians-in-training. Physicians-in-training attending an oncology meeting answered the “Negative Attributes and Positive Potential in Old Age” survey. Ten questions assessed positive characteristics of aging (PPOA; score 1–4, higher scores represent a positive perception), and four assessed negative characteristics (NAOA; score 1–4, higher score representing a negative perception). Descriptive statistics were used to analyze the questionnaires. Participants completed the “Image-of-Aging” question by writing five words describing older adults and young individuals. Each word was rated from − 5 (negative) to + 5 (positive), and presented as word clouds. One hundred physicians-in-training (median age 28.5) were included. For the PPOA scale, the mean score was 2.9 (SD 0.4), while for the NAOA scale it was 2.1 (SD 0.4). Perceptions of aging were better among women and trainees enrolled in geriatrics and/or oncology-related programs. In the “Image-of-Aging” questions, median rating of words describing older adults was − 2, compared to + 3 for young individuals (p < 0.001). Among words used to describe older adults, the most frequent was “frail/frailty” (n = 45), while “health” (n = 46) was the most frequent for younger individuals. Mexican physicians-in-training showed mostly negative perceptions of aging, exemplified by the use of negative terms to describe older adults. 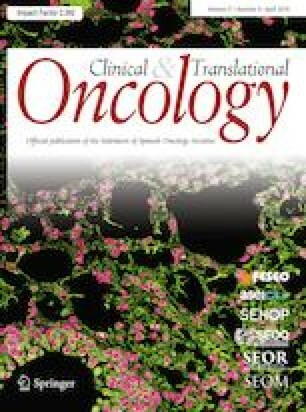 Creating educational initiatives aimed at decreasing ageism among oncology trainees is necessary across Ibero-America. The online version of this article ( https://doi.org/10.1007/s12094-019-02107-w) contains supplementary material, which is available to authorized users. No funding was received for the research reported in this manuscript. Yanin Chavarri-Guerra reports research funding from Roche, not related to the current work. All other authors declare that they have no conflicts of interest. Informed consent was waived for this study by the ethical and research committees. Lasagni-Colombo VX, Rodríguez-Bessolo MS, Bernal-Angarita R, Tuzzo-Gatto MR, Heredia-Calderón D, Muñoz-Miranda LM et al. Stereotypes towards aging among older adults and university students in ten Latin American Countries. In Spanish. Envejecimiento y Salud, Red Latinoamericana de Gerontología. 2012. https://www.gerontologia.org/portal/noticia.php?id=2476. Accessed 2 Jan 2019.